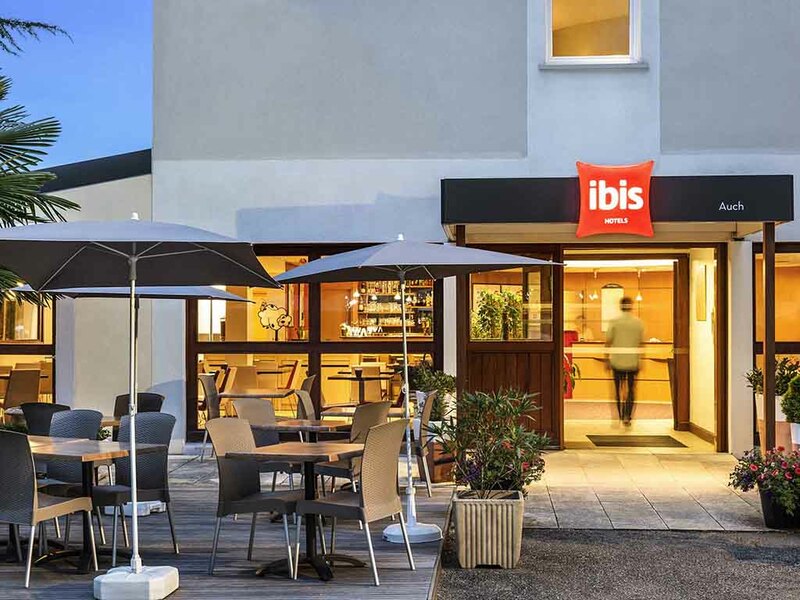 The Ibis Auch hotel is located on the northern bypass, close to the Endoumingue shopping centre and 1 km from the Maison de la Gascogne Exhibition Centre. It has 51 air-conditioned rooms, including 3 for disabled guests, a restaurant, a bar open 24/24 serving light meals and snacks and free parking (not guarded). A meeting room can be booked for seminars and conferences. Guests on a business trip have Wifi wireless Internet access. Historic capital of Gascony, homeland of d'Artagnan.